LTE Tracking Area Update signaling flow describes how mobiles keep the network updated about their location. 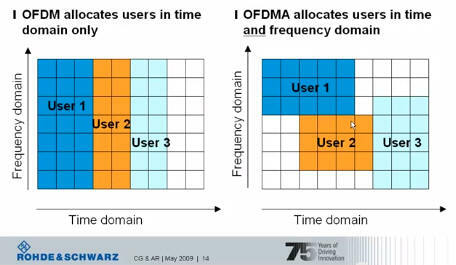 a change of the UE Core Network Capability and/or UE Specific DRX Parameters information of the UE. Categories: telecom | Tags: enodeb, lte, mme, rrc, tracking area | Permalink. 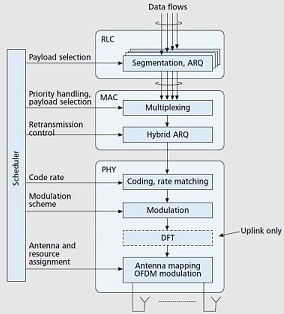 LTE random access procedure is used by the UEs to initiate a data transfer. The UEs also obtain uplink timing information from the initial handshake. UEs synchronize with the downlink channel by decoding the PSS and SSS signal. The UEs are synchronized to the downlink frames after completing this procedure. The three UEs initiate the random access procedure at exactly the same time. Two of them (UE-A and UE-B) happen to pick the same preamble. This results in a resulting in a collision. UE-C picks a distinct preamble so it succeeds in the random access procedure. Contention between UE-A and UE-B is resolved in UE-A’S favor. UE-A proceeds with the RRC connection. UE-C times out and retries the random access procedure. Categories: telecom | Tags: contention resolution, lte, rach, random access, rrc, zadoff chu | Permalink. LTE eNodeBs can directly communicate with other eNodeBs on the X2 interface. The X2 interface is used to perform a handover between eNodeB. The messaging in X2 handover is detailed in LTE X2 Handover Presentation. A few excerpts from the presentation as shown below. The handover procedure is triggered by the X2AP Handover Request message. The RABs to be handover over are sent from the source eNodeB to the target eNodeB. The target eNodeB then admits the user and responds with X2AP Handover Request Acknowledge message. This message contains a transparent container that carries the Handover Command message that needs to be sent to the UE. The source eNodeB sends the handover command to the UE. It then sends sequence number information to the target eNodeB. The target eNodeB then requests the MME to switch the path from the source eNodeB to target eNodeB. This was an overview of the messaging involved in the X2 handover. For details refer to the LTE X2 Handover Presentation. Categories: telecom | Tags: 3gpp, enodeb, handover, lte, pdcp, rrc, s1ap, sequence diagram, signaling, x2, x2ap | Permalink.